There are over 120 essential oils commonly found in today’s cosmetic industry. Several essential oil extraction methods include the use of chemical solvents, distillation, and cold press extraction. Specifically, many citrus oils are produced by using the cold press extraction method. In this process, the starting fruit, plant, or seed material is first placed between the plates of the press. This is where pressure—and in some cases, heat—is applied. This will cause the juices and oils to begin extracting from the material. After the initial extraction process, the remaining liquid is filtered out to create the essential oil. The term cold-press does not necessarily mean the plates of the machine are cold, but the term simply implies the use of pressure in the absence of heat. As long as the plates do not exceed 100°F the resulting material is considered to be cold-pressed. There are numerous benefits of cold-pressed oils for the skin. They can be used alone but are often found as an ingredient in various cosmetic products. These essential oils are used to minimize scarring, prevent breakouts, moisturize, and firm skin. They also have properties for anti-aging, and for dark spot correction. One of the most useful oils in cosmetic products is cold-pressed grapeseed oil. The combination of vitamins D, C, and E along with its fatty acids make it ideal for moisturizing the skin and providing anti-inflammatory as well as anti-aging properties. 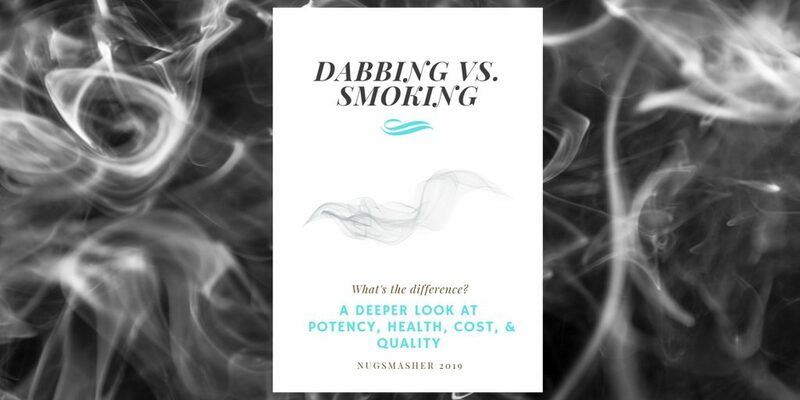 Our Nugsmasher Touch allows full control over pressure and temperature, making it the perfect machine to extract essential oils. While many may suggest to strictly apply the cold-press method, introducing the element of heat can produce a greater amount of oil in a shorter amount of time. When creating your own essential oil at home, you can customize the level of refinement depending on the intended use of the product. Although, because heat causes further refinement there is a risk of losing beneficial vitamins in the process. For cosmetic purposes, vitamins are vital for treating the skin and it is common to preserve them using the cold-press method. Much like the extraction methods of essential oils, cold-press extraction is also used for everyday cooking oils that could be found in our kitchen pantries. Coconut oil, olive oil, avocado oil, and more can all be extracted using this method. The recent popularity of coconut oil has boosted sales immensely. Large scale production requires industrial sized machines capable of producing mass amounts of oil at a time but there are benefits to smaller scale extractions done at home. Oils and fats are an important part of our everyday diet. They provide essential nutrients to our bodies. Good sources of these essential fatty acids include various vegetable oils including grapeseed oil and sunflower oil. Producing these oils at home give you full control over the level of refinement. Coconut oil is versatile and has many uses. In the culinary world, it is a vegan’s beloved substitute of butter. Being high in fat, the composition is almost identical allowing it to perfectly replicate butter’s role in baking. If you prefer to perform oil extractions in your own home, a press like our Nugsmasher Pro or Touch would be ideal. An in-home coconut oil extraction would begin with the shredded meat of mature coconuts. Mixed in water, the coconut shreds are placed in a mesh bag and pressed between the plates to extract as much liquid as possible. The liquid is then collected in a tank below ready to sit overnight and allow the oil to separate from the coconut milk. Other oils such as olive, peanut, and sunflower oil all share similar extraction methods. Another popular culinary extraction is isolating capsaicin from hot peppers. Capsaicin is the active ingredient in chili peppers directly responsible for making them so hot. The extract is used as an additive for hot sauces in both commercial and in-home use. Like other oils, a cold press extraction method is used to isolate the capsaicin from the chili peppers. Besides its key role in hot sauces, it is also used to relieve muscle and joint pain. The sensation of heat helps to activate certain nerve cells providing relief to the user. The extract can be used topically, mixed with creams and lotions to help strains, sprains, arthritis, bruising, and backaches. With an array of healing properties, essential oils are another product that crosses over into the medical industry. Aromatic essential oils play a key role in natural and holistic healing. As more people become aware of the dangerous side effects of pharmaceutical drugs, they are turning to natural alternatives. Aromatherapy has been used for centuries to treat various ailments. Some of their benefits include restoring hormone balances, healing digestive disorders, and reducing symptoms of depression and anxiety. Essential oils have been proven to enhance mood, improve sleep quality, provide inflammation relief, prevent illness, and boost the immune system. Another healing alternative to pharmaceutical drugs is CBD oil. CBD oil has become extremely popular within the last few years and it comes as no surprise. This healing oil contains less than 2% of THC, so its non-psychoactive nature makes it ideal for medical uses. To produce the oil, either hemp or cannabis flower is pressed between the plates of a cold-press machine. Because CBD has the ability to interact directly with our endocannabinoid system, it has many healing benefits. Numerous research studies have been performed on CBD finding it beneficial for pain, sleep, appetite, and immune system response. As far as mental health, it has been cited to reduce anxiety and depression making it more desirable than anti-depressant drugs with their harmful side effects. CBD’s medical uses are growing at a fast pace. It has earned its place in cancer research, effectively reducing cancer symptoms as well as treatment side effects. Our Nugsmasher heat presses can be utilized to create healing oils at home but most interestingly they have been found to be useful in university lab settings across the country. In the United States, millions of burns, ulcers, and other wounds are reported each year. One of Nugsmasher’s customers, in particular, is performing research experiments on medicated surgical inserts and the healing effect on wounds. This laboratory uses our machines to infuse medication into the surgical inserts. 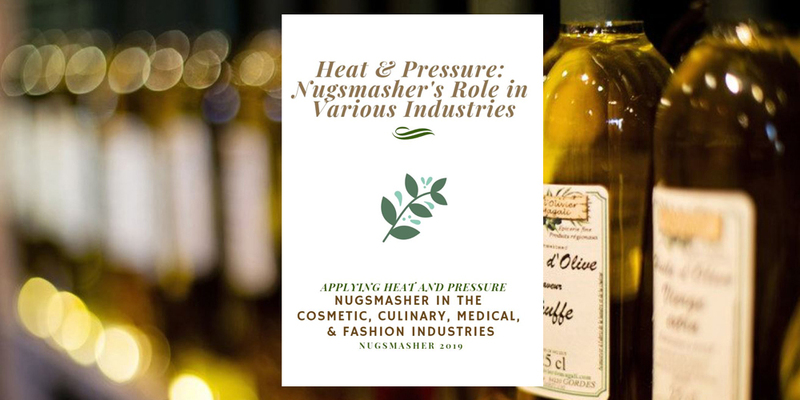 This requires extremely specific temperature and pressure measurements, and we are proud that our Nugsmasher machines have been trusted to do the job. Once infused, the medicated insert is put directly inside surgical wounds and the medication is absorbed by the body at a time released rate. The goal of these experiments is to successfully excel healing in patients. Before the popularization of the rosin press, one of the original heat presses was—and still, till this day is—used in the fashion industry. A heat press transfers a graphic design onto clothing as well as other materials such as wood, metals, ceramic and more. Transferring the design requires precise temperature, pressure, and time control. Because of the small investment, fast turnover, and ease of use, many have created highly profitable businesses from this machine. For smaller scale designs our products work perfectly. One of our customers uses the Nugsmasher XP in his custom patchwork business. In this transfer process, the desired graphic is printed onto transfer paper while the press is set to around 355°F. The printed design is pressed onto the patch for 60 seconds and the adhesive becomes permanently bonded to the product and is ready to wear or sell! Our Nugsmasher products have also been used to vulcanize rubber. A popular use of vulcanizing rubber is to create jewelry molds! Vulcanization is the process of converting natural rubber into a harder and more durable form. Creating a rubber jewelry mold requires prepared rubber, a mold frame, and a heat press. The rubber is cut to fit in an aluminum mold dependant on the size of the jewelry. Once the initial layer of rubber is laid down, the desired piece of jewelry is placed on top. Another layer of rubber covers the jewelry and the mold is placed inside the heat press. The temperature and time depend on the thickness of the rubber mold. After allowing the materials to cool, the mold is carefully cut and ready to create jewelry! Heat and pressure, are two of the most fundamental elements of Earth. Both have been used since the beginning of mankind for survival and innovation. Our Nugsmasher machines are being utilized today for lab testing, cosmetics, for nutrition, to heal, and even to accessorize. As our community builds so does creativity and innovation. Here at Nugsmasher we are proud to provide tools for passionate people with great ideas! If you have a process you’d like to share, we would love to hear from you!